Japan is an amazing country, with many wonders. The mysterious charm of the Far East is attracting many newcomers every year. Still, some of them are deciding to leave Japan after several months or years spent there. The lifestyle of this country isn’t suitable for everyone. No matter what are the reasons, the fact is that not anyone can excel in this prosperous country. So, here are some common reasons why people leave Japan, from the experience of Kokusai Express movers. Reasons why people leave Japan are very subjective. Someone’s reason to leave Japan is a someone else main advantage for living in this country. It all comes down to personal reasons and ability to fit in into a new environment. You may be thinking that somebody who is moving to the other end of the world will have all the information about the country that will be its new home. Sadly, that isn’t always the case. Many are relocating to Japan because of the great business opportunity. Since the job is the most important thing on their mind, they don’t make an effort to get to know the country that they are moving to. That way, they aren’t prepared for the living conditions that are waiting for them there. Any time that you are relocating abroad, you must do your homework and find out can you adapt to the lifestyle of the country. Japanese culture can be very eccentric to the foreigners. Most of the newcomers find it very interesting, but some can’t adjust to it. Culture and tradition of Japan are very colorful. Still, the main problem for expats is its non-verbal communication. Not fitting in into Japanese culture is one of the reasons why people leave Japan. Japanese culture has many gestures with the big meanings. You can offend somebody very easily by just lifting your hand on the wrong way. Many can’t stand that pressure. Even though that with a little effort you can learn all the signs of the Japanese non-verbal communications, this is one of the reasons why people leave Japan. The Japanese language is very hard for foreigners to learn. It’s not impossible, but it will take a lot of time and effort. Japanese people are generally fluent in English, so you can communicate with the locals without the problems. Still, it’s not the same when you are in the foreign country and you don’t speak the language. That’s why this is the obstacle that many can’t pass and one of the reasons why people leave Japan. The Japanese language is very hard to learn. As a foreigner in Japan, you will always stand out. It isn’t the bad thing, but for people that are shy it can be a problem. When you look different than the majority of the population, it’s s common that you will turn few heads. Still, Japanese are very open to the expats. This nation was notorious for sticking together and discluding the foreigners, but in the last decades, the situation is drastically different. You should never underestimate the power of missing your own country. All the things that you were taking for granted are becoming precious when you move to another country. The familiar faces, the street where you grow up, the importance of families gathering, hanging out with the friends at your favorite coffee shop. Homesick is the main reason why people leave Japan, but the other countries also. You can never fully grasp how much something you will miss in your new country until you experience it yourself. Japanese people have a strong group mentality, that can be tiring for foreigners. Especially for the Westerners. Everyone has to be involved in business decisions. That means that meetings can take forever and people who aren’t used to this kind of process feel like nothing is getting done. Still, the group mentality of the Japanese people is also a very positive thing. They are very emphatic and thinking about the wellbeing of all the society, not only for their own interests. Japanese food is famous all over the world. Economic advantage – Japan is one of the most economically powerful countries in the world with many employment opportunities. Environmental safety and security – Crime rates in Japan are relatively low, and this is one of the safest countries in the world. 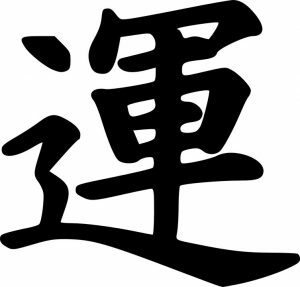 Spirit of equality and harmony – Five pillars of the Japanese lifestyle are discipline, thinking of others, respecting others (especially the elderly), avoiding conflicts and living in harmony. In Japan, you can always count on the helping hand of the stranger. Advanced technology – Japan is famous as the country that is most advanced in terms of technology. Technology is a big part of the everyday life and it’s making it so much easier. 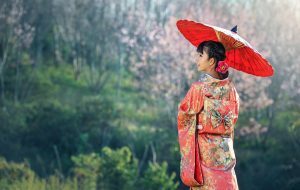 Travel and leisure – Japan is full of the astonishing wonders of nature and beautiful historical sites. 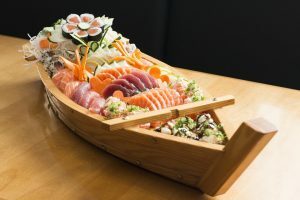 Food – Maybe the sushi isn’t your cup of tea, but Japanese cuisine is so much more than that. The traditional kitchen is full of flavors, and it’s one of the most popular cuisines in all the world. Even if you don’t like Asian cuisine altogether, you won’t be hungry in Japan. It is a country with some of the best and most diverse restaurants in the world. Maybe Japan isn’t all that you are thought that it will be. You are ready to try your luck somewhere else. Whatever reason you are having for leaving Japan, you should plan your relocation well. When you are moving from this country, you should know that you will need the help of professional movers. Check out the affordable moving services Japan and put your move into the capable hands of reliable movers. You should notify everybody importantly that you will leave Japan. That will include your employer, your renter, the utility services, your bank. Make sure that you are settled any debts that you have. If you don’t, you probably won’t be able to leave the country. Also, be aware that there is a new fee, called „sayonara tax“, for everyone that wants to leave Japan.